You can see why Hawaii has become synonymous with paradise......tropical beaches, spectacular sunsets and breathtaking scenery. Each island has its own unique characteristics and Polynesian delights. With flights between the islands short and scenic, it’s easy and affordable to visit more than one island during your stay and we’d recommend at least three. 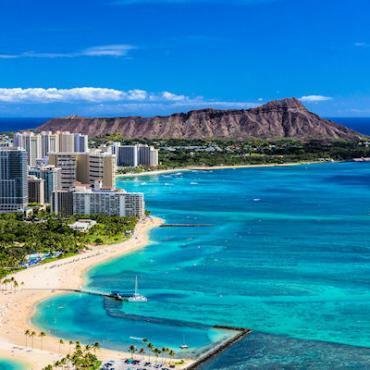 Our Hawaii Island Hopping holiday is a great introduction as it combines legendary Waikiki Beach on Oahu, with the astonishing scenery of the ‘Magic Isle’ - Maui and culminates in the volcanic wonders of the Big Island. 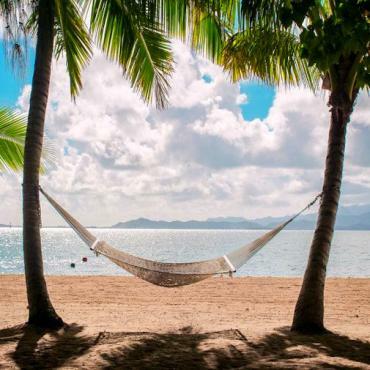 If you’re looking for somewhere memorable to celebrate a special birthday, searching for a dreamy honeymoon destination, or simply looking for a slice of heaven on earth – you’ve found it. To order your guide to the Hawaiian Islands click here. Aloha! 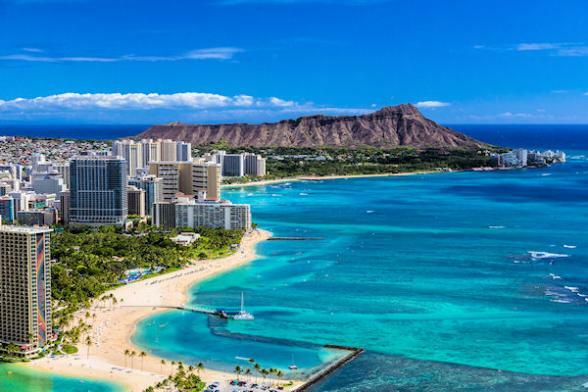 Welcome to Oahu -home of world famous Waikiki Beach and the birthplace of surfing. In complete contrast to the other Hawaiian islands, Waikiki Beach is a busy, bustling place. It’s a great island to start with as it's fun, friendly and full of things to see and do. Your Oahu home for four nights is right on the powder-white sands of Waikiki Beach, overlooking Diamond Head. Unpack, relax and head for the beach. Unlike the other Hawaiian islands, the Waikiki area has a very good public transport system. Buses are frequent and inexpensive, so get out there and explore. Head for iconic Diamond Head where you can hike to the rim of this extinct volcano and enjoy terrific views over Waikiki. Or, travel to Hanauma Bay one of only three underwater national parks in the USA. Set within a volcanic crater, the snorkeling is incredible and you only need wade out a few feet to experience it. 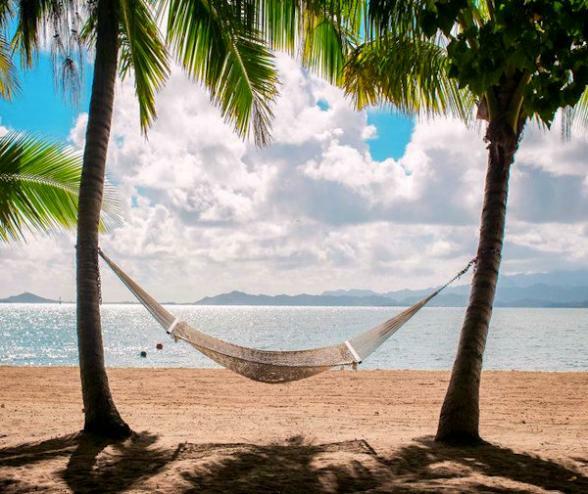 A full day island circle tour is part of this itinerary and includes Pearl Harbor, the legendary surfing beaches of the North Shore, the historic Nu’uana Pali Lookout and the Dole Pineapple Plantation. 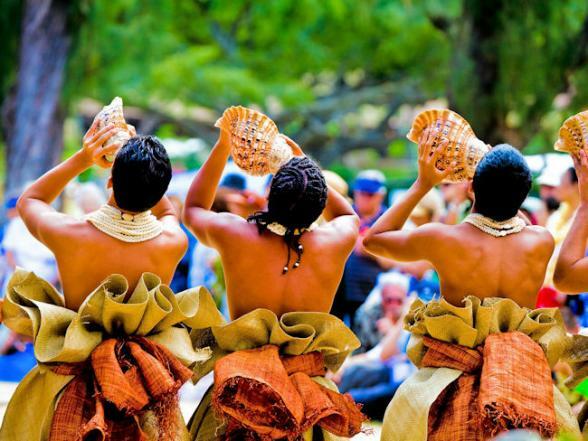 There are so many Hawaiian experiences on Oahu such as a traditional Luau at Paradise Cove, shark cage diving, or a visit to Kualoa Ranch Nature Reserve, the setting for blockbuster movies such as Jurassic Park and Pirates of the Caribbean - all of which can be arranged before you travel. In the evening, Waikiki Beach comes alive with sparkling lights and the sound of the slack guitar floating through the breeze. Restaurants are plenty and range from casual beach dining to 5-star with Diamond Head views. Check out the tropical cabaret shows with a local cocktail or take to the ocean on a romantic catamaran cruise and sail into the flaming Hawaiian sunset. Referred to as the Magic Isle and consistently awarded the accolade The Best Island in the World by readers of Conde Nast, it's a stunning flight to the tropical island of Maui. Everything you've heard or read about this island is true. The verdant mountains, idyllic beaches and its astonishing beauty! It’s time to take it down a notch and enjoy a slower pace of life. 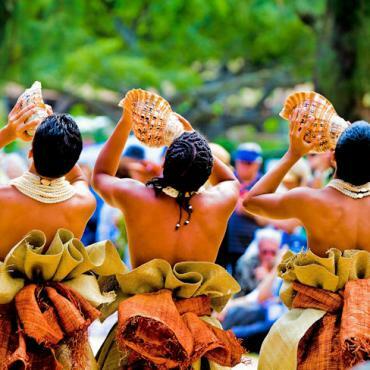 Immerse yourself in Hawaiian culture, most hotels embrace their traditions and offer lei-making, hula or ukulele lessons and hotel staff and locals are happy to talk to you about their history and culture. We’ve included car hire on Maui so thoroughly explore this small island (it’s only 48 miles x 26 miles). Traffic, is minimal and roads are easy to navigate with wall to wall scenery and ocean views on most of your road trips. Talking of road trips, an absolute must do is the Road to Hana, one of the most scenic drives in the world. This 68 mile route hugs the coast as it twists and turns through rainforest along soaring sea cliffs on the way to the tiny town of Hana and the beautiful waterfalls of Seven Sacred Pools. Maui boasts over 30 miles of tropical beaches and our favourites include Big Beach for the waves, Kapalua Beach for snorkeling with the turtles and tiny Hamoa Beach with sparkling emerald green water. For a spot of shopping and history head to the historic whaling-town of Lahaina, the capital of the Kingdom Of Hawaii from 1820 to 1845. Take a short ferry ride from here to the neighbouring island of Lanai which was once the world's largest pineapple plantation owned by the Dole family. If you happen to be in Maui between December and April, this is whale-watching season and boat trips depart from Lahaina to see these magnificent creatures on their annual migration. It’s truly is a sight to behold. In the evenings, enjoy barefoot casual dining under the stars, traditional Polynesian Luau’s on the beach or fine-dining in award-winning seafood restaurants. There is still so much to see and do in Maui and we’d be happy to suggest and pre-book extra excursions such as snorkeling at Molokini Crater, sunrise or sunset from atop Haleakala volcano and helicopter tours over some of the most spectacular scenery you’ll ever see. Just a hop, skip and a jump to Big Island - also known as Hawaii Island. This is the largest of the Hawaiian islands and home to Volcanoes National Park. 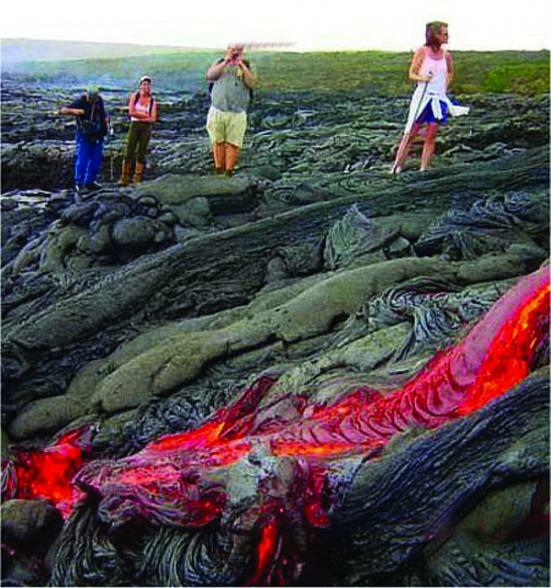 On your guided tour here you’ll visit Kilauea, one of the world’s most active volcanoes and Mauna Loa, which holds the distinction as the largest volcano on Earth. 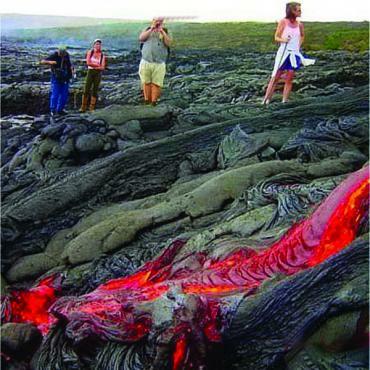 While there is no guarantee to see a red-hot lava flow, you’ll definitely gain a deeper appreciation and understanding of the island’s volcanoes and the dramatic landscape. Back down in the waters that surround Big Island, there is a chance to meet giant sea turtles or swim with the Manta Rays. Once the sun sets, the must-do excursion is a visit to the top of Mauna Kea summit - one of the best places for stargazing. Experience spectacular sunsets, learn about the night sky and see the treasures of the heavens through powerful telescopes. Your Bon Voyage sales consultant will be sure to talk about all the available excursions and which need to be pre-booked. All Bon Voyage holidays are tailor-made - this is purely one idea. Our team have travelled extensively around the islands and would be happy to share their experiences with you.